An Amazon-branded Boeing 767 freighter, nicknamed Amazon One, flies over Lake Washington during the Seattle Seafair Air Show on August 5, 2016 in Seattle, Washington. on February 23, 2019, one of these models crashed in Trinity Bay in Southeast Texas. It was operating a flight for Amazon Air. The plane then flew for China Airlines and LAN Airlines and ended its service as a passenger jet in 2014. An investigation has been launched by the National Transportation Safety Board (NTSB). The FAA lost radar and radio contact with the flight approximately 30 miles southeast of Houston's George Bush Intercontinental Airport. Dave Clark, Amazon's senior vice president of worldwide operations, expressed sympathy and concern. The aircraft was flying from Miami to Houston. 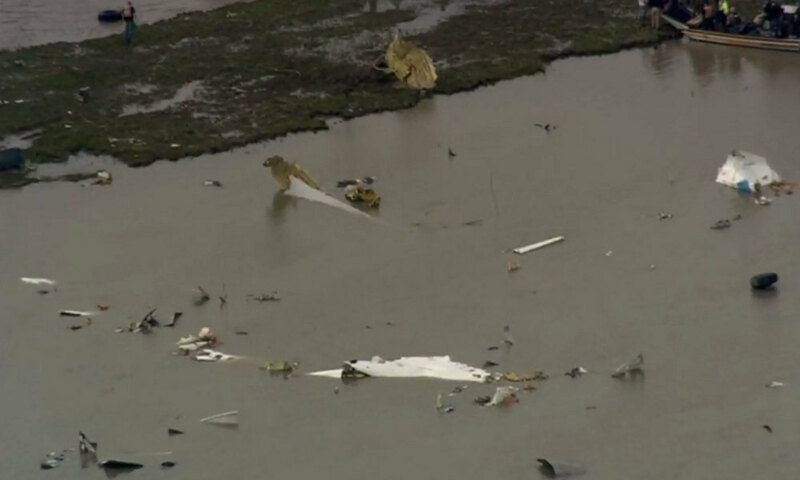 FAA spokesperson Lynn Lunsford said that initial reports indicated that three people were on board. The sheriff added locals have brought boats to aid in the search. There was no immediate word about the fate of the crew, and no names were released.